Get Serious About Your Gear! Wild Dutch's Guitar Hospital offers a complete menu of services from basic setups and adjustments to vintage restoration, preservation, kit building, electronics servicing, amp modification and more. Wild Dutch's Guitar Hospital can service, repair, and restore virtually any brand of guitar and bass. From basic setups to custom hot rodding, we've got your axe covered. Not getting the right sound out of your head? We offer custom amp modifications along with complete repair & restoration services. Let us help you get the tone you crave! Wild Dutch has what it takes to push your cab to the next level. Quality speaker replacement and hand wiring can offer a life time of sonic and mechanical integrity. Wild Dutch's Guitar Hospital was founded in October 1994 in Hollywood, California, USA by Musicians Institute student John "Wild Dutch" Boehnlein. Since that time it has served the international music community without interruption or advertising. 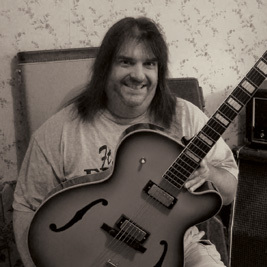 Mr. Boehnlein is an internationally recognized guitar technology consultant, technician, author, and inventor.